Steve Coogan's inspired, off-the-cuff lead performance in 2002's Brit-rock biopic 24 Hour Party People had American critics heralding the arrival of a unique new talent -- but to U.K. audiences, his star turn was the next logical step for one of that country's most celebrated comics. Born into a working-class, Catholic family in Manchester, England, Coogan took to performance in his teens, and hit the standup scene soon thereafter. It was there that television casting agents took notice of his spot-on impersonations of world leaders, pop stars, and sundry celebrities, and they soon put him to work playing various comedic bit parts in network shows. One of his early breakthroughs came when he provided several recurring voices on the long-running puppet show Spitting Image, a weekly satirical review that took aim at Margaret Thatcher, Michael Jackson, and Ronald Reagan, among others. Coogan's talents led him away from the small screen to radio, where he made an even bigger splash with the comedy program On the Hour. The show gave the comedian free reign to try out a number of vocal characterizations, among them the arrogant, ignorant radio announcer Alan Partridge, whose hilariously lame puns and non-sequiturs quickly made him -- and, by proxy, Coogan -- an audience favorite. 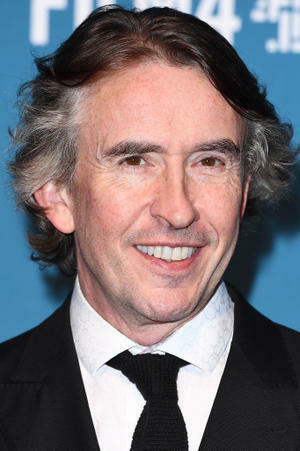 Coogan parlayed the Partridge character into a mini-empire, first with his own mock radio talk show -- cheekily titled Knowing Me, Knowing You...With Alan Partridge -- then in the flesh on 1994's BBC 2 news satire The Day Today, and finally with the wildly successful TV show Knowing Me, Knowing You...With Alan Partridge. Not content to rest on Partridge's laurels, Coogan developed many other characters through the '90s, taking them on the road for a wildly successful standup tour late in the decade. It was around this time that he was approached by iconoclastic director Michael Winterbottom to play the part of Tony Wilson, the charismatic Manchester TV personality who found himself the unlikely founder of one of the most influential record labels of the '80s. 24 Hour Party People charted the rise and fall of Factory Records, home to such bands as Joy Division, New Order, and the Happy Mondays, all of which were nurtured by the intuitive, unpredictable Wilson. In Coogan, Winterbottom saw a spiritual heir: Both men were born and raised in Manchester, and both had been impetuous on-air performers. The director wouldn't take "no" for an answer, and as the two forged ahead on the picture, Coogan began to develop his own slant on Wilson, improvising dialogue and talking directly to the camera. The unconventional biopic won raves at the 2002 Cannes Film Festival, with Coogan in particular singled out for the wit and ingenuity of his freewheeling interpretation. Though touted in the press as British cinema's "next Trainspotting," 24 Hour Party People failed to perform at the U.K. box office, where it was effectively steamrolled by two other hit British comedies, Bend It Like Beckham and Ali G: Indahouse. 24 Hour's arthouse U.S. run later that year was solid, if unremarkable, as American audiences had less of a vested interest in the subject matter. Still, Hollywood casting agents were duly impressed with Coogan, and lured him to Tinseltown for the plum role of Phileas Fogg in the big-budget updating of Around the World in 80 Days, which was prepped for a high-profile summer 2004 release. Coogan would continue to enjoy his success on screen over the coming years in films like Hamlet 2 and The Trip.